If there is a painting which could be the symbol of BerlinRomExpress it’s this one. 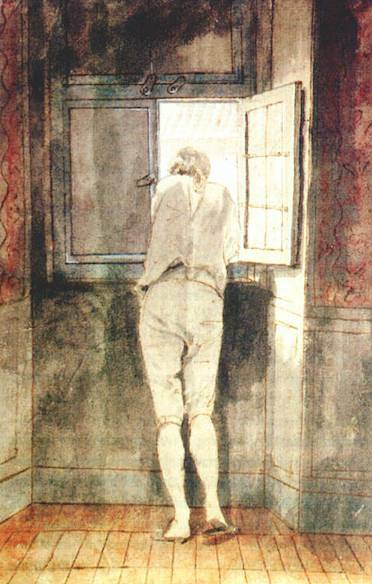 Goethe, just arrived in Rome, in homewear attire, curious and amused of watching life going on in a busy and noisy via del Corso. I always loved in my roman years to go from time to time to the Casa di Goethe in via del Corso. His experimentations with botanics and color theory…and also his correspondence with local prostitutes, who in a wannabe correct italian tried to understand why yesterday night yes…and now no more? This podcast is a gem in decoding what game-changing experience was – to famous JW Goethe – crossing the Brenner and coming to Italy. The artist behind the VIP personality could ressource himself. And yes…romantics were in their way, as new and uncharted as digital natives today, the individual traded at a premium to the mainstream.